#Moscow. 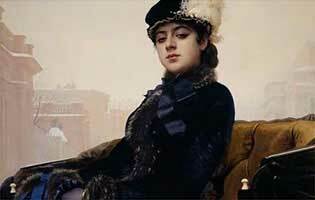 #TretyakovGallery. #Moscowfrompetersburg. #TourToMoscow. #MoscowPrivateTourGuide. #MoscowForCruisePassengers. #ForCruiseShipPassengers. #ForCruisePassengers. to Moscow from St Petersburg. Moscow for cruise ship passengers. See all our Moscow tours for cruise line passengers. This option includes a panoramic city tour and a general tour of the Tretyakov Gallery, a world famous museum which possesses a unique collection of Russian art. You will have a car/minivan for the first part of the day and it will make your tour more comfortable and relaxed. For children under 5 this tour is free. For children 5 to 9 discount is 110 US $. For children 9 to 16 and students with ISIC discount is 20 US $. You can find some general information about Moscow and check other tours available on our Moscow page. * available all week long except Monday.